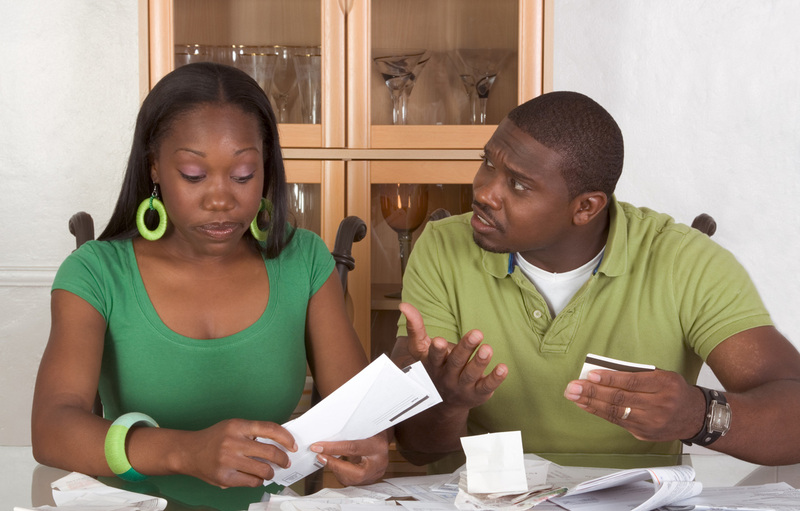 Have you ever had an argument with your spouse over money or finances? I will be the first to tell you, you are not alone. At Golden Financial Services, every single day clients say that financial problems are what caused their divorce. Let’s dive right in… and look at some shocking statistics – relating to how money can ruin your marriage. To save your marriage — we’ve provided actionable tips at the end of this post. 27% of couples in the United States say that disputes over money explode into an argument — ahead of arguments over children, chores, work, and friends, according to a recent survey conducted by Money Habitude. 22% of ALL divorces are over financial issues. 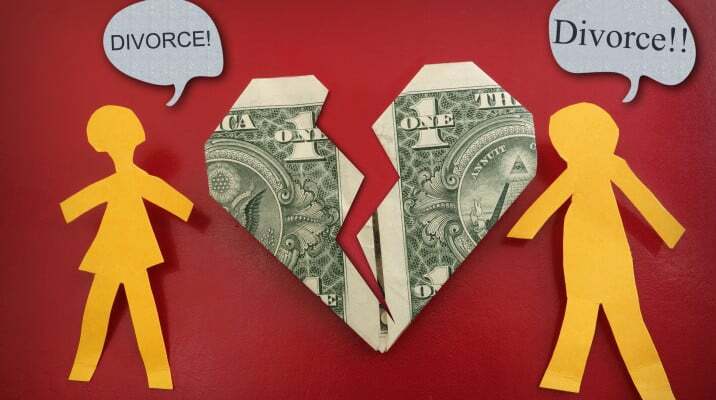 Money problems are the third leading cause of divorce. 31% of ALL couples in the United States fight over finances more than one time per month. Out of these disputes, 34% of them are over major purchases, while 23% arise from a partner’s spending habits. Do you currently have stress in your marriage? There is a 35% likeliness that the stress is related to finances, according to a recent SunTrust Bank survey conducted by Harris Poll. Second place on the list is “annoying habits”, contributing to 25% of relationship stress. For those of you who are not married but considering marriage – YOU BETTER READ THIS NEXT STATISTIC. What are the biggest deal-breakers relating to finances – when it comes to selecting a spouse? 65% of respondents stated that either poor money management skills, relying on parents for financial support or having high credit card debt are the biggest deal-breakers. Every single relationship is different. However, all relationships have a common denominator – communication is essential. Sit down with your spouse and make a budget, set guidelines and boundaries for financial decisions, plan for emergencies, and go over each of your assets and unsecured debts. Your finances need to be clearly illustrated so that you can both be on the same page. Make sure that you both list each other, and then the kids, as the beneficiaries — on your different assets and savings accounts; or have a detailed will in place. By communicating clearly, fully trusting each other and showing 100% devotion to each other — that itself — will lead to a happier marriage. Set spending limits and develop a clear plan of action that will allow you to reach your savings goals. If you have debt, figure out a solid plan on how to become debt free. If you both need financial education, start reading industry leading financial blogs and even consider taking an economic course together. Get educated together. Try using Dave Ramsey’s Proven Financial Plan below. Together; sit down and review the Dave Ramsey infographic below. You can even print it out, and put it on your refrigerator. This infographic was created by Golden Financial Services, but the content inside the infographic was created by Dave Ramsey. Dave Ramsey has an excellent book that I recommend you read, called “The Total Money Makeover” that you can purchase here. If you don’t have the time, to read the book now — start by using this simplified version of the book inside the infographic below! Please include attribution to http://infugintesting.com/golden/infographic/ with this graphic. If you’ve fallen behind on your monthly credit card payments, or have negative marks on your credit report, Contact Golden Financial Services for some Free Debt Relief Advice at 866-376-9846. There’s no magic wand to erase your debt, but our programs can drastically reduce your balances. I was married for 3years. things started getting ugly and we had fights and arguments almost every time… it got worse at a point that he wanted to file for divorce… I tried my best to make him change his mind & stay with me.he moved out of the house… I pleaded and tried everything but still nothing worked. The breakthrough came when someone introduced me to this wonderful coven, great spell caster who eventually helped me out… I have never been a spiritual person of things like this but just decided to try cause I was hurt by my husband and left alone…i contacted the coven through their which was giving tome by my friend +2349059897314, He did special prayers and used roots and herbs… Within 2 days my husband called me and was sorry for all the emotional trauma he had cost me, he moved back to the house and we continue to live happily. what a wonderful miracle. trust did for me and my family. I have introduced him to a lot of couples with problems… I strongly believe someone out there need’s his help. (MARVINLOVESPELL011@GMAIL.COM ) so make extra effort to save your marriage/relationship if it’s truly worth it. Previous PostPrevious How bad is the Debt after-effect of the Chargers move to LA?